Tzung Yuan Technology Co., Ltd. is a specialized manufacturer of both traditional and computerized balancing machines. The company boasts that its specially designed machines can fully meet customer's most critical requirements for mass production, reduced production costs, high efficiency, high reliability, and durability. Boasting a heavily-invested R&D program that has enabled the firm to build a skilled team of technicians, Tzung Yuan has developed a wide range of balancing machines for various lines, including car-axle-assembly balancing; micro-computerized vertical balancing; standard microcomputer controlled vertical balancing; automobile drive-shaft balancing, micro-control balancer, digital micro-computerized dynamic balancing, digitized dynamic balancing etc., all of which are widely employed on cutters, motors (especially for home appliances), automotive brake disks, pumps, flywheels and fans etc. W.T. Huang, chairman of Tzung Yuan, says his company has developed a series of new micro-computerized balancing machines to replace traditional models. Huang is very confident in sales of Tzung Yuan's new products because they can be easily segmented from traditional counterparts in the market and can help customers further upgrade their product quality. Tzung Yuan boasts it has developed its deployment operations in mainland China for more than two decades. After gaining a strong foothold in the huge Chinese marketplace, the company has won big-ticket orders from many well-renowned automobile and parts manufacturer in the mainland. To cope with strong demand for its products and raise production capability, Tzung Yuan plans to invest a manufacturing plant in mainland China and expand production capacity in Taiwan. 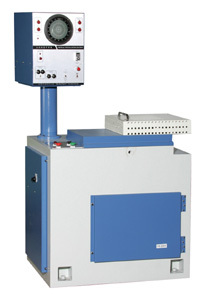 Tzung Yuan`s vectpr-scoope-type testing machine.